The Bravo network has reportedly decided to dedicate some air-time to the death of Russell Armstrong. 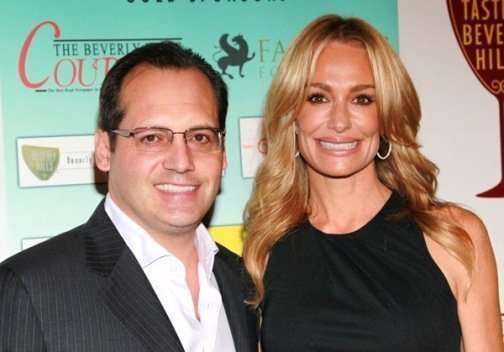 While his widow Taylor Armstrong will not be participating in the special, fellow cast members of The Real Housewives of Beverly Hills, Adrienne Maloof, Lisa Vanderpump, Camille Grammer, Kyle Richards, and Kim Richards will all be sharing their reactions to Russell’s suicide. The second season of The Real Housewives of Beverly Hills is scheduled to premiere on Monday, September 5th – with a few last minute edits. According to Show Tracker the premiere episode originally featured a scene in which Taylor Armstrong shops for lingerie in an attempt to spice up her marriage before later becoming emotional while talking about going through marriage counseling. There is no word how much, if any, of those scenes will remain in the episode. There is no word yet on when the special will air, but more than likely it will coincide with the premiere of The Real Housewives. Why do I have a feeling Russell is rolling in his grave right now? 50 queries in 0.642 seconds.